Mobile application tutorials are an opportunity to educate users about a mobile application. Should a mobile application tutorial not be used, the number of frustrated users and uninstalled applications could increase, resulting in a substantial loss in revenue for mobile application developers. Yet, the historical ineffectiveness of printed documentation and online help may have a negative influence on the perception of usefulness of mobile application tutorials for more experienced HCI experts. This in turn may influence their design decisions, whereby they may choose to not design a mobile application tutorial when it may have been better for the user. 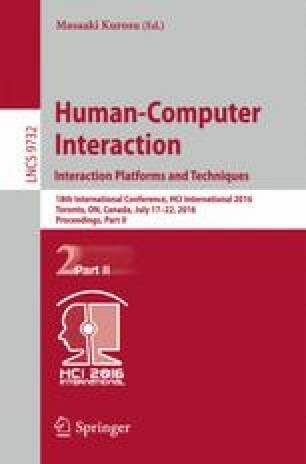 Our research suggests that while there is a split in the perception of usefulness of mobile application tutorials within the HCI community, the length of time in an HCI role did not have a statistically significant effect on this perception. The authors are grateful to the 60 HCI experts around the world that participated in the study. The authors are also grateful to the School of Computer Science at the University of Hertfordshire in Hatfield, United Kingdom for generously providing funding for this study, whereby for each survey response received, £2 was donated to Sands charity in the United Kingdom.